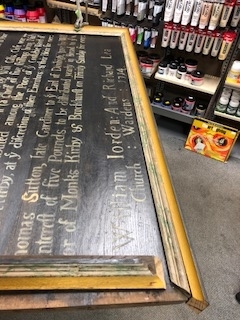 Nearly there with the restoration of the Church Plaque. 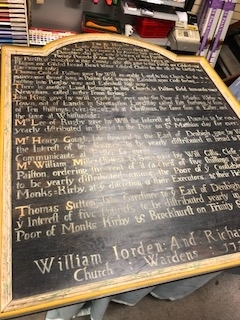 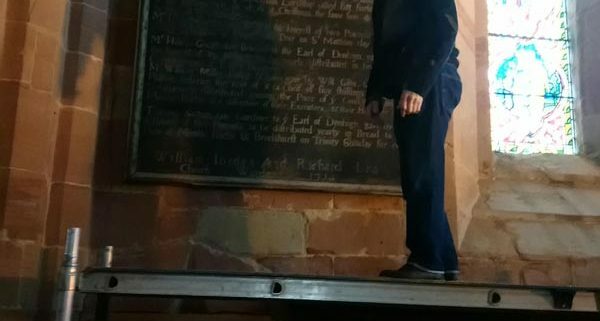 Next week we will be re-hanging the plaque at St Edith’s Church in Monks Kirby. 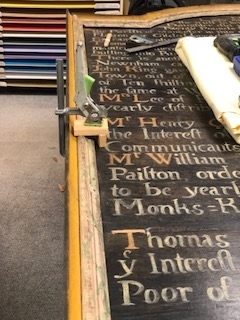 It has taken many hours of work – not all of it restoring the delicate lettering and keeping the ancient look of the plaque but some heavy lifting and highly skilled carpentry too. 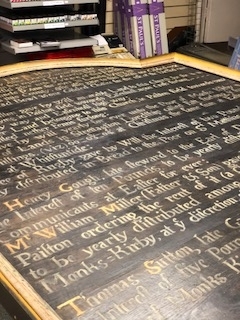 As well as restoring the look of the plaque care has been taken to protect it from future damage, including putting braces on the reverse side to support the screws holding it together. 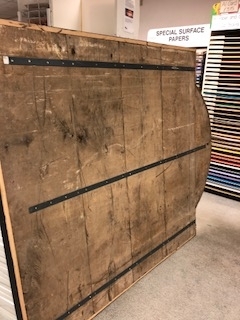 Looking forward to seeing it hanging in its place again.